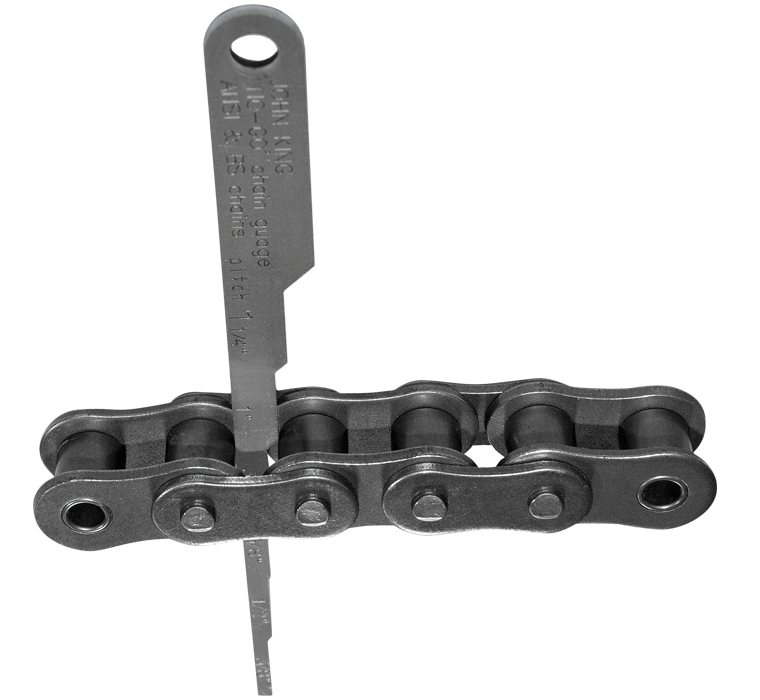 This device offers a quick and easy means of establishing chain wear condition. It covers 9 sizes of American and British standard transmission chains. The GO-NO GO gauge offers an immediate and effective indication of pitch extension and therefore wear condition.